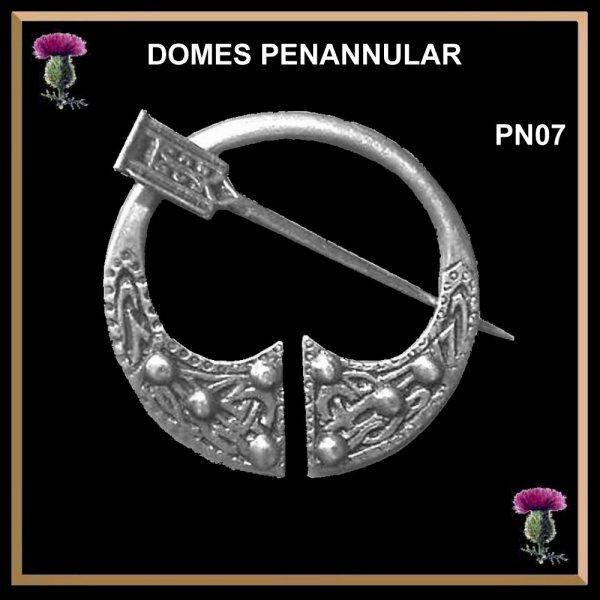 The very first brooches of this kind date back to the eighth century. 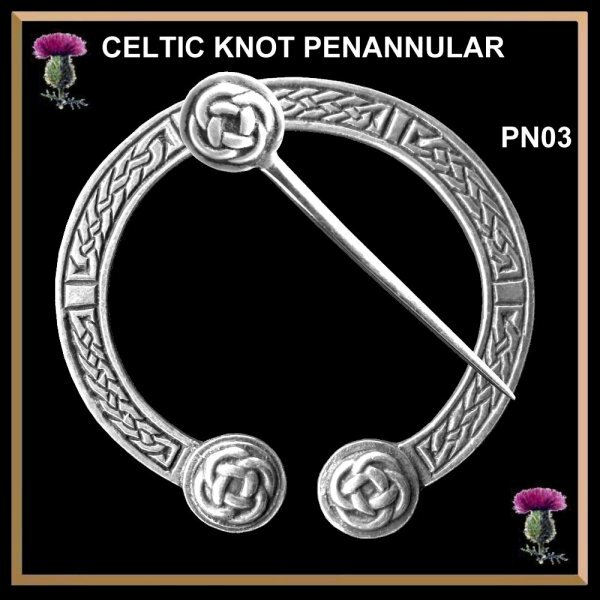 The ancient Celtic people were the first to devise a way of pinning garments together. 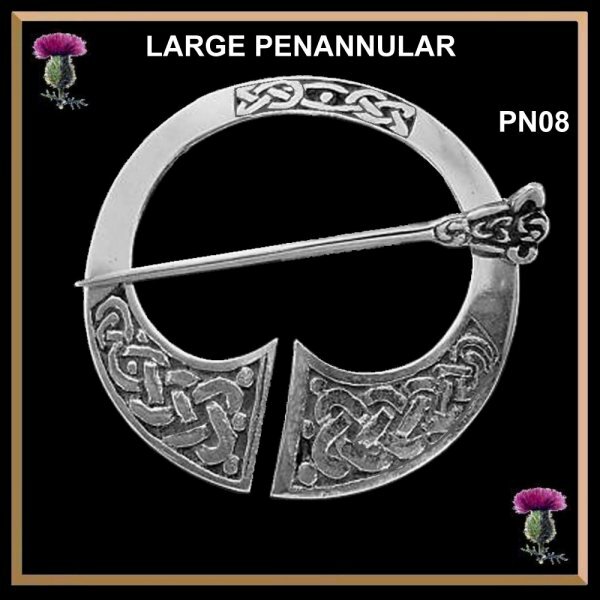 The Penannular or open ring brooch is among the most ancient of jewellery worn with articles of clothing. 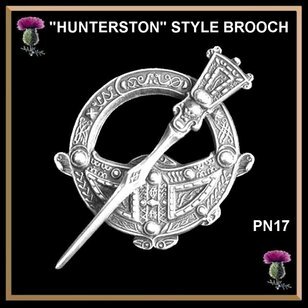 In ancient times, brooches were merely used as fasteners to hold clothing together, the Celtic people used them to fasten their cloaks. 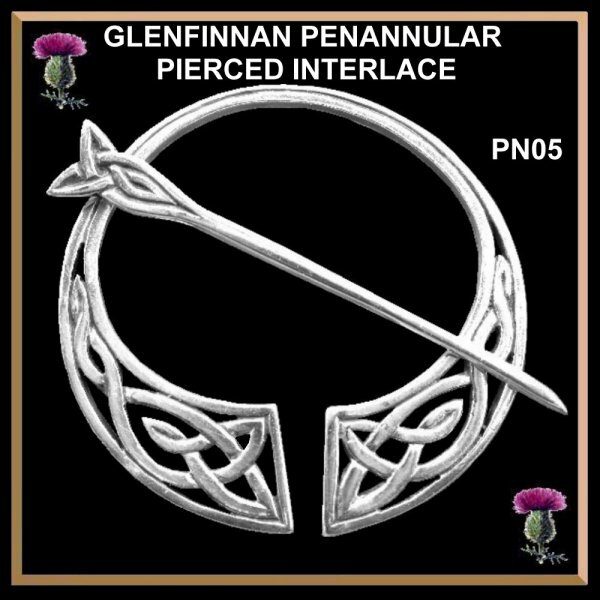 The original brooches were used much like the modern day safety pin. 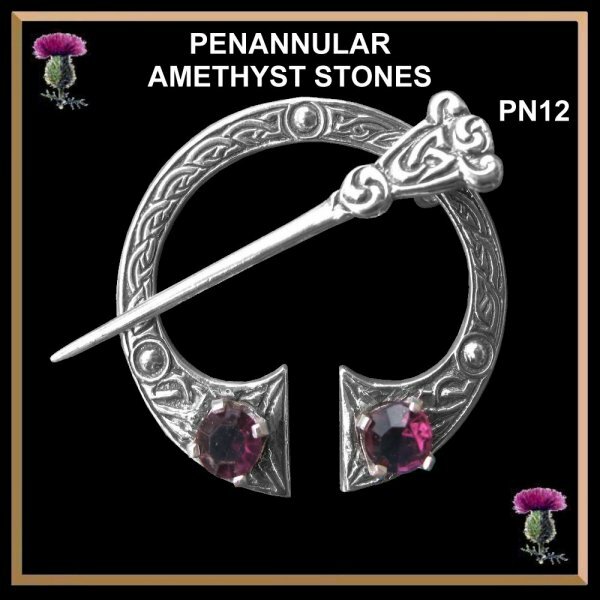 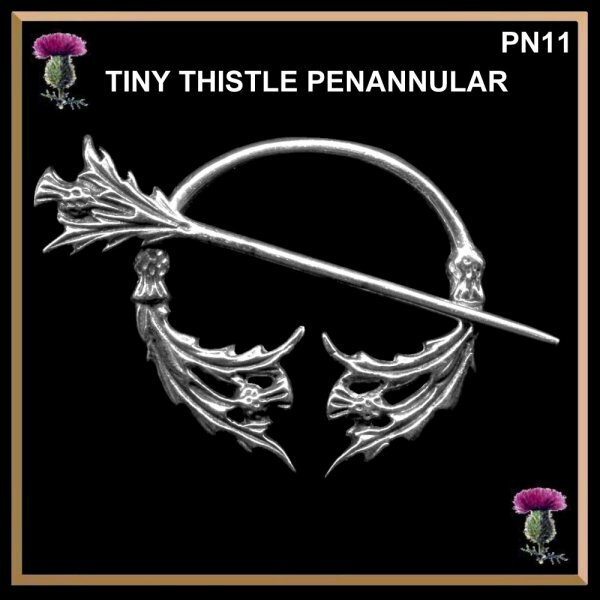 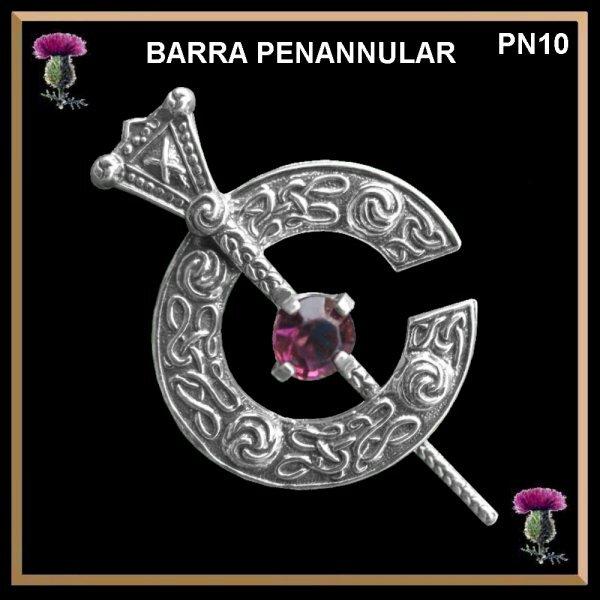 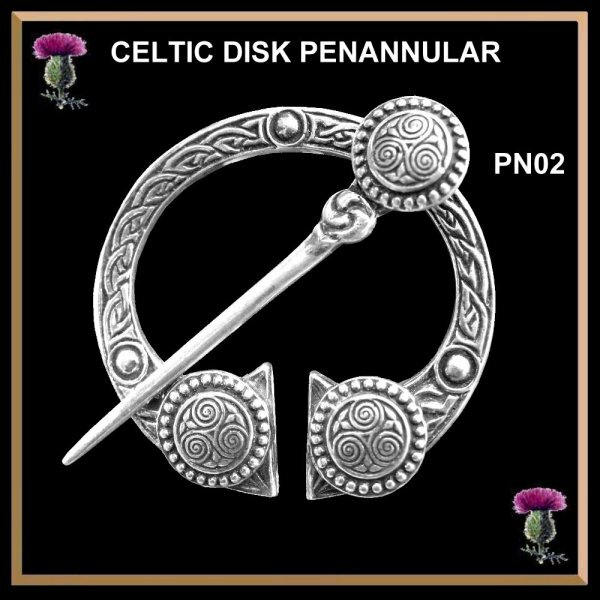 Penannular brooches, used as cloak pins, were worn by the Celts in Britain from about the third century into early Christian times. 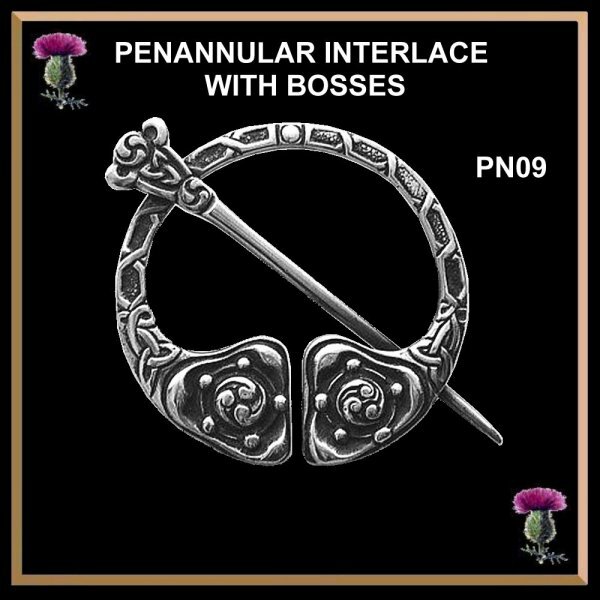 Worn at the shoulder or breast, the brooches were as small as an inch in diameter, or quite large. 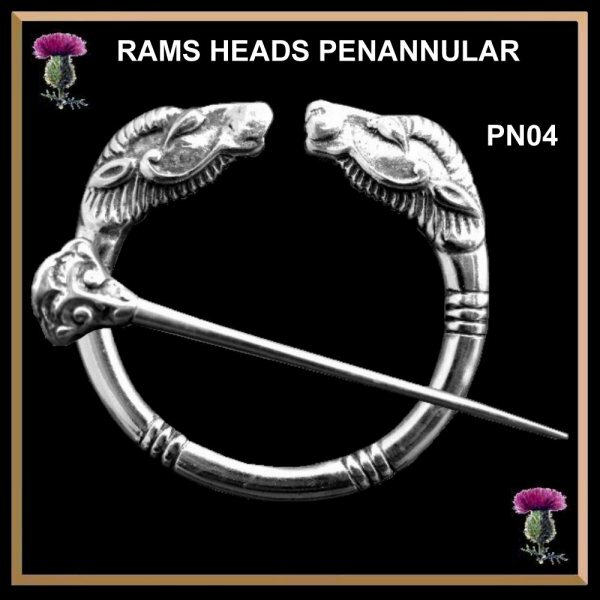 Some were plain bronze, iron or copper, and some jeweled and decorated with gilt, but all had one thing in common: a long loose pin that could slide around the ring. 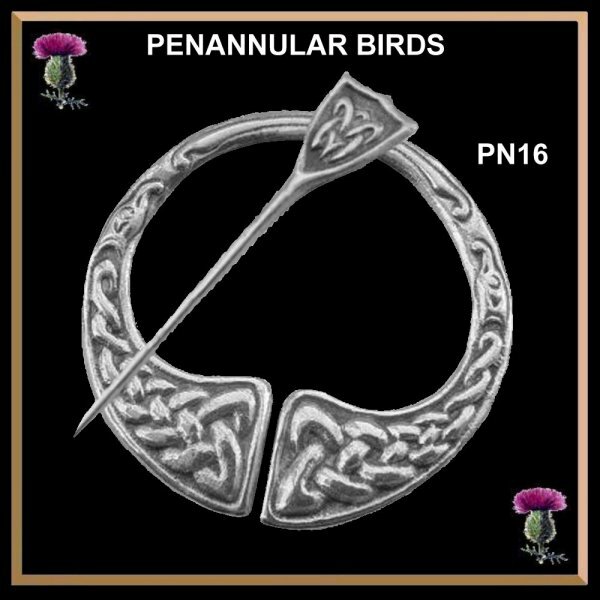 Penannular means almost a ring. 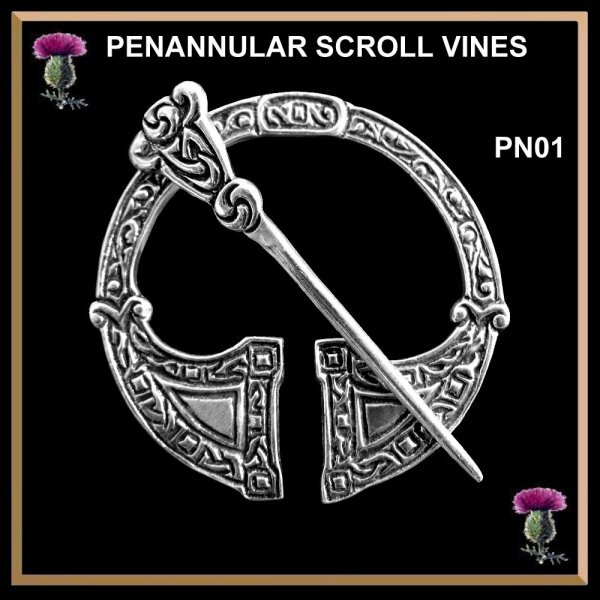 Some were pseudo-penannular, i.e., made to look like true penannulars, except that the opening, although indicated, was closed.